Where is it mined and how is it dug up? 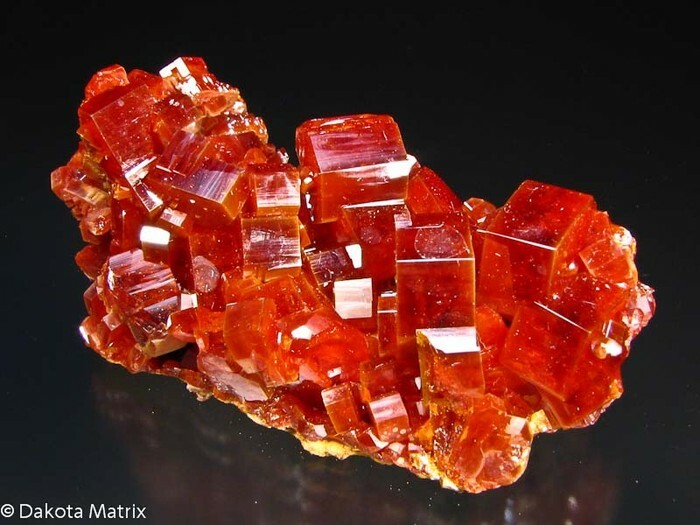 Vanadinite, the ore of vanadium was discovered in Mexico in 1801 but is also found in South America, Europe, Africa and various parts of North America. It is dug up from the ground in the same way as uranium - mined! How is the Vanadium extracted from the Vanadinite? The most common way for the Vanadium to be extracted is to heat the Vanadinite with Sodium Chloride (aka salt) at a temperature of about 850 degrees centigrade producing Sodium Vanadate (NaVO3) which dissolves in water. The soluble Sodium Vanadate is then given Ammonium Chloride to give it an orange coloured form of Ammonium Metavanadate. This is then melted to form a basic form of Vanadium Pentoxide then with Calcium it gives pure Vanadium. Vanadium is a hard, silvery-grey, ductile and malleable transition metal. It has one stable Isotope, Vanadium 51 and one Radioactive isotope, Vanadium 50, both are naturally occurring. 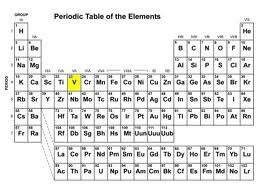 One use for Vanadium is in alloys. About 85% of Vanadium is used in steel. In the 20th Century, it was discovered that Vanadium considerably increased the strength of steel using only a little Vanadium. Did you know that not consuming enough Vanadium in your body could result in reduced growth and impaired reproduction? This has been proven by cats and rabbits! Isotope: A variation of the element - could be radioactive! Radioactive: Something which produces radiation which can be bad for your health. Did you know that a banana is the most radioactive fruit? Vanadinite: The rock which contains Vanadium - the ore!